Bathrooms are one of the most used rooms in a house, and if they’re planned well they can add style to your home. Modern bathroom designs are a must for every well organized and designed house. Serving as a private space for personal hygiene and relaxation, the bathroom is always important place when it comes to organizing. Bathroom is a place where we take the all the time we need to truly indulge ourselves with the wonderful luxury of privacy. Making a noticeably attractive and comfy bathroom mustn’t be so hard. Sometimes rustic bathrooms with wooden textures and elements and minimalist style, can completely suit your taste and make a wonderful modern bathroom. If you decide to incorporate wooden elements in your bathroom you must be sure to maintain them the right way to last more. If you are not sure whether to use wood in your bathroom, our suggestion would be not to hesitate. This is a great way to give your bathroom a whole new look, that will be warm, pleasant, attractive. Here you can stay every time you need relaxation and rest. You can add a wooden bathtub, wooden storage items, wooden sink. If you want the wood to dominate the bathroom install a wooden floor, or simply incorporate wood on the walls. If you choose to use wood in your bathroom, you definitely won’t be wrong. Below you can see some fascinating suggestions how to renovate your bathing area. 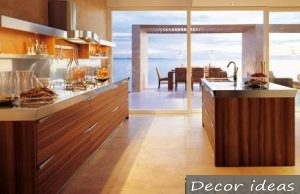 These creative ideas, can help you to make beautiful and cozy dream bathroom with wood. Just use wood to make perfectly beautiful and warm bathroom. Enjoy the ideas below! The main idea for bathroom interior design has one simple concept, keep it simple! Rooms inside your home should have practical aspects, and if one room is made for very particular functions, it is the bathroom.